Happy International Day of the Girl – October 11th! Today we celebrate International Day of the Girl! An important mission of Diabetes Education Services is to inspire girls to feel emboldened to chase their dreams! Established by the United Nations in 2012, International Day of the Girl, was created to address the challenges girls face all over the world! “International Day of the Girl promotes empowerment, education, and employment skills, alongside the attainment of basic human rights. The 2018 theme is “With Her: A Skilled GirlForce”, and it focuses on properly equipping and training the 600 million adolescent girls who will enter the workforce within the next decade. At Diabetes Education Services we believe in supporting girls and women to realize their potential. We are dedicated to supporting the growth and well-being of our future generations. Today, we continue to celebrate our amazing sister organization, Just One Person. Just One Person, is a model sustainable program that prepares girls in rural Kenya for post secondary opportunities, helping them develop economic independence that will guide them on the path out of poverty. Diabetes Education Services partners with Just One Person to manufacture our Pancreas Partner. All profits from Pancreas sales are donated to Just One Person to help the girls pursue ongoing education and gainful employment. “Thank you doesn’t feel like enough to tell Beverly how much I appreciate her educational sessions. I had previously taken the CDE exam three times and failed by two or three points. After purchasing her CDE prep bundle, I took a month to study using her webinars/sessions. I took my fourth test on 02/07/2018 and passed!!! I know I wouldn’t have been able to pass on my own. The CDE exam is harder than the NCLEX!! Beverly doesn’t just give you the technical and practical information needed to be an educator, she teaches you how to look beyond the medication and formulas and see the patient as a person. The material covered in her sessions is thorough and up to date. The educational sessions, boot camps, and the CDE app make passing a sure bet. But more importantly, Beverly’s passion concerning Diabetes Education spills over and makes one a better educator. I wish I would have began studying with her when I first started on my diabetes education journey in 2015. Both myself and my patients have gained so much from her lessons. “After previously taking the exam and missing it by 2 points, I took some time off before getting back into studying. 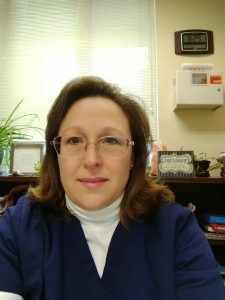 In spring of 2017, I found out about Diabetes Education Services and the “CDE Coach” app through a coworker. Reluctantly, I checked it out and signed up for the level 1 and 2 Boot Camp series. This was just what I needed to rebuild my motivation, confidence, and knowledge in all aspects of CDE prep. The live and recorded webinars and practice tests were all there to use on my own time, as life allowed. With two toddlers at home and a baby the way, (and a fulltime job), this speaks volumes. Whether you listen to a webinar on the computer at lunch, on the Ipad after the kids are in bed, or flip through tables in the app or screenshots of areas you struggle with during your walk on the treadmill, this program is beyond helpful. I even printed and laminated the *free* medication cards and carried them with me everywhere. See what our program graduates are saying. Visit our CDE®Success Page and get ready to be inspired! April 27, 2016 started out as a usual morning. Rushing to get the kids ready for school, preparing breakfast and writing my to-do list for the day. That’s when I noticed something was wrong. I kept trying to write my list, but the words on the paper did not match the words in my head. I gave up on that project and moved on to talking to the kids, making sure they were ready for school. But, I couldn’t assign the right words to my instructions. I called bread, butter. I couldn’t remember the word for egg. I stuttered. Then I started crying and said, “I think I am having a stroke”. My 14-year-old son Robert, jumped up, got the phone and called my husband, a pharmacist who works at a nearby hospital and stroke center. My husband, Chris, frantically told Robert to, ‘call 911 and get your mom to the hospital NOW”. I grabbed the phone from Robert and reassured my husband that I was fine and I did not need an ambulance. I hung up and hurried my 3 kids into the car, worried they would be late for school. As I drove them to their 3 different destinations, I tried retelling them news events that had happened earlier that day, to prove to them I was fine. After all, I was only 52 and super healthy. During that 20-minute kid drop of route, my husband called me at least 6 times. He kept commanding that I come to the hospital NOW. The entire stroke team was waiting for me. I finally relented and at 8:47am on a blue sky Wednesday morning, I was in the ER. The stroke team started their familiar choreography. They rushed me into a gown, hooked up monitors, drew blood and laid me on the gurney for a CT Scan of the brain. The results came back fast. No bleeding in the brain, it was a non-hemorrhagic event and I had no lingering stroke symptoms. So Tissue Plasminogen Activator (TPA) was not indicated. TPA a clot buster that is administered to non-hemorrhagic stroke patients within 3 hours of stroke symptoms. I was not the right candidate for this intervention since most of my stroke symptoms had resolved. Three hours after the event, I was ready to go home. Convinced this was all a mist­­­­ake since my CT scan, labs and heart rhythm looked good. Why should I waste precious hospital resources with an overnight stay? The team insisted I stay and wait for the results of the MRI of my brain that was scheduled for the next morning. I spent the night in the hospital, getting neuro checks every 4 hours, playing with the controls on my bed, keeping a brave face when I told shocked family members and friends of the series of events. Truth be told, for the past 30 years I had been fighting for my life and my health. My dad suffered a a heart attack at 39 and a stroke at 44. Me and my dad, pictured here, months before his death at 56 from a massive heart attack. His shortened life was a central motivating force for my healthy lifestyle. To maintain my best health, I was clocking 55 miles a week of walking, dancing two hours a week, and eating a diet filled with vegetables, fruit, fiber and an occasional glass of red wine. My lifestyle habits put me at low risk for stroke, but my genetics worked against me. Because of my dad’s stroke history, my risk of stroke was triple that of the general population. The next morning, I was up at 6:30 am and mentally ready to go home. I decided to try some dance choreography in my room to see if I could remember the sequence of moves. It went well except for a few balance issues. I put on some mascara and wrapped my hair into a bun with two bobby pins that I found at the bottom of my purse. To show everyone I was going to be okay, I clipped on a big fuchsia flower right above my ear. At 11 a.m. I was rolled into the noisy, rhythmic banging tunnel of the MRI machine. I imagined the magnetic energy exploring the nooks, crannies and undulations of my white matter, searching for injured brain tissue. An exploration that I was sure, would turn up empty handed. At 12:40 p.m., the neurologist walked into the room saying he had read the results of my MRI and that I had suffered a stroke in the Wernicke center of my brain. What he said after that, I don’t remember. He left the room and the tears started pouring from my eyes. The nurse walked in and just sat with me as I shared the news. My husband, who was working in the hospital, flew into the room, breathless from running up three flights of stairs after I texted him to “please come”. He saw my distress and wrapped me in his arms. He whispered a sweet prayer in Armenian, blessing me and asking for Gods healing powers. Since that day, I feel like I am a slightly different version of myself. If you met me on the street or at a conference, you probably would have no clue of my stroke history. And, according to my family, I am pretty much still the same. The MRI revealed the stroke was located in the Wernecke center, this is an area in the brain responsible for understating words and speaking them in a logical sequence. Fortunately, it is considered a very plastic area of the brain, so that other parts of the brain can compensate for its deficits. Most of the time, the cause of the stroke can be identified. However, thirty percent of the time, the cause is not known. This is called a cryptogenic stroke. In cryptogenic stroke, possible culprits include atrial fibrillation, clotting issues, heart malformations, and other inflammatory states. This is the type of stroke I had. For this reason, they will do long term heart monitoring to see if I have silent a-fibrillation and if it is positive, they will need to start me on a Coumadin-like therapy. In either case, a person who has had a stroke has a 14 to 25% of recurrence within 2 years. To prevent the second event, there is a BIG focus on risk reduction (see below). The good news is, I feel great. In spite of chronic painful neuropathy in my right foot and leg secondary to the stroke (a rare post stroke phenomenon called central pain syndrome) I still work and walk for 3-4 hours a day on my treadmill desk. Sometimes, I have to work a little harder to remember words or say them right. And on occasion I will say a word that doesn’t yet exist. And sometimes I think I express myself even better. 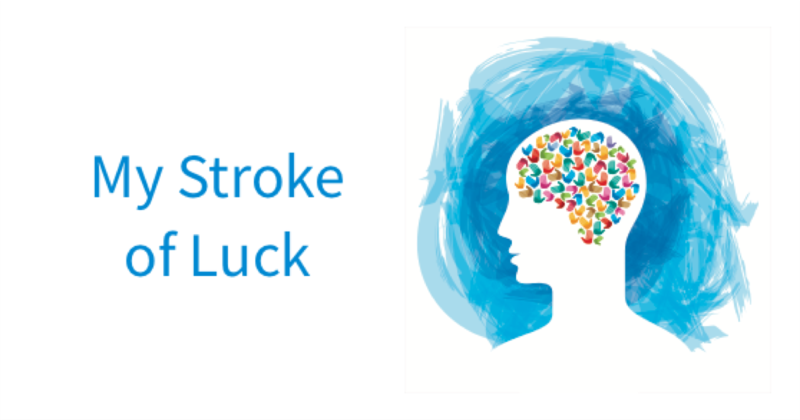 Maybe this was my stroke of luck – An early warning sign that forced me to take action to prevent a more debilitating stroke. This event gives me the opportunity to make sure I am doing everything possible to keep healthy through lifestyle and the right medications. After all, my dad had his first stroke at 44 and I didn’t have mine until 52. So maybe all the years I have worked hard to keep healthy have paid off. Maybe this stroke provided me with a window to share my story with you and my diabetes community to increase awareness and early intervention. You will be happy to know, I just got back from a one-week beach vacation with my husband and boys. I had no problem playing football with them, kayaking in the ocean, challenging my husband to a push-up competition and writing this newsletter. but how you bounce back”. I love this quote by Anna Quindlen, “The thing that is really hard, and really amazing, is giving up on being perfect and beginning the work of becoming yourself.” I am excited to start on this new journey and thankful for this stroke of luck. Here is some more info on Signs of Stroke to share with your community!